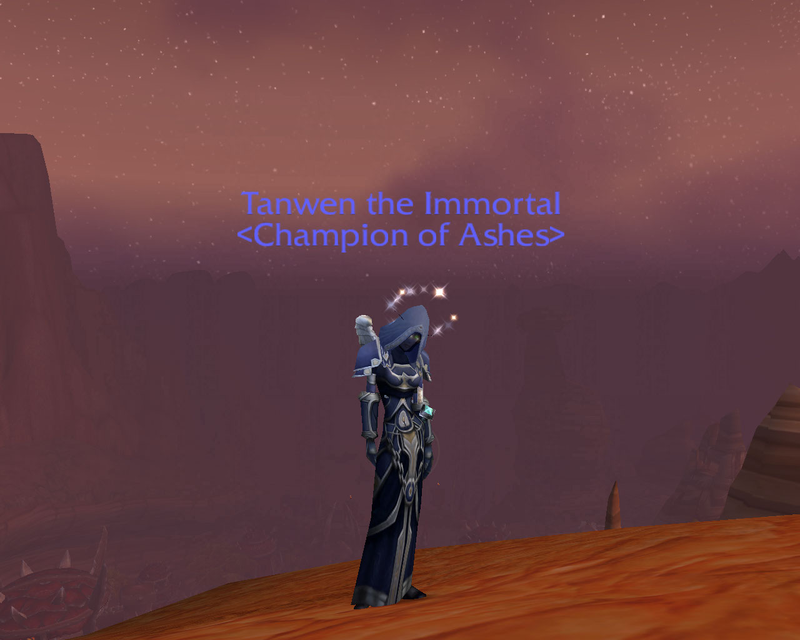 TYI Day 5: Title of Choice « It's For My RP Spec! 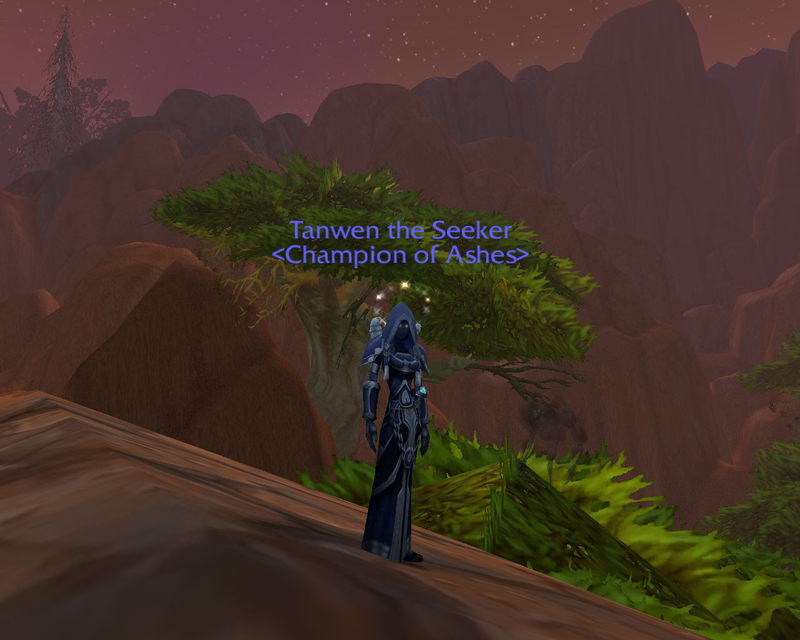 The first title that I am most proud of is “the Seeker.” This title is important to me because it’s from questing… and I am notorious for not wanting to quest. I had less than 2000 quests completed when Cataclysm dropped. Tanwen was leveled almost exclusively through instances, so I didn’t have much low level work to help me on this achievement, either. The second title is “Starcaller.” I love this title because stars are sort of “my thing” IRL. 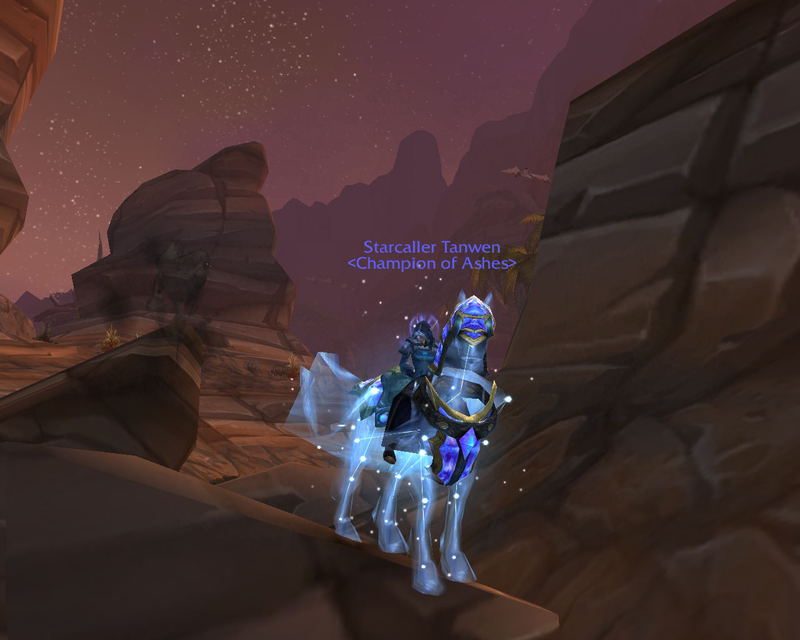 I always thought it was the best title but being that we were a 25 man guild at the time and I didn’t have the time to run in a 10 man group as well, I thought I would be stuck with Astral Walker. Last but not least is “the Immortal.” This is important because mages and hunters were very prone to dying. Very, very prone. Thaddius was the culprit in most instances.